Of the whole Istanbul, the areas of Fatih, Fener and Balat are certainly the richest in history, the most fascinating and characteristic. For these reasons they have been included in the UNESCO World Heritage List. Even so, less than 1% of the tourists in Istanbul visit these sites. How is that possible? The reasons are many; however, the main culprit is surely the so-called “tourism industry”, which simplifies everything and conveys an artificial image of the city, in order to maximize its profits. A stereotyped image of the city is promoted and substitutes the more heterogeneous existing one and, unfortunately, it is only the former that is visited by almost all tourists. Along our lines of thought, we are opposed to all this and we hope that people will have the curiosity and the desire to discover the real beauties of Istanbul. Hence, it is our intention to introduce three neighbourhoods really central for the full understanding of the history and culture of this city. In these areas different communities and religions have converged and mingled in the course of time, bestowing us up to the present day with an extraordinary wealth of architecture, religious monuments, colours and gastronomic delicacies. The three districts are located within the old city walls, to the west of Eminönü, and overlook the Golden Horn. Unless accompanied by people who know the surroundings, these areas could be difficult to visit, not because they are dangerous, but just because they are totally off the tourist beaten track and it could be easy to lose one’s bearings through the maze of houses, consequently missing the monuments one is looking for. Once entered in the quarter of Fener, the historic Greek neighbourhood, the roads will start to get narrower and labyrinthine, the slopes will get more steep, and the risk of losing the way higher and higher. It is on these centenarian cobblestones, among coloured Ottoman houses, some superbly restored, others irremediably ruined, that one can feel the history of Istanbul. Devout Byzantine priests, coarse Crusaders, proud Ottoman Paşas with their bevy of servants, Armenian traders, Jewish shopkeepers and gypsy fortune tellers have populated, over the centuries, often at the same time, these areas of the city, giving rise to the cultural wealth we can still admire today. Walking among houses of bizarre colours and shapes, among children playing soccer in the streets, one will arrive in front of Rum Lisesi, the Greek Orthodox College, the magnificent and peculiar red-brick building that dominates the hill of Fener. Climbing up a picturesque staircase one will then reach the top of the hill, where once the ancient walls of Constantinople ran, and it is precisely here that in the 13th century was built a church unknown to most, but of fundamental importance in the history of the city. This is the graceful Church of St. Mary of the Mongols, also known as the Red Church. Its history is so beautiful and charming that should deserve a book, but unfortunately there are no related publications and it almost seems forgotten by everyone. Moreover, in the neighborhood of Fener is situated one of the most important locus for Christianity: the Ecumenical Patriarchate of Constantinople. It is for the Orthodox believers the equivalent of St. Peter in Rome for the Catholics. The historic and symbolic importance of this place is huge. It is one of the five main centres of Christianity: in fact, in order of hierarchy, the Patriarchate of Constantinople is the second after Rome and precedes Alexandria, Antioch and Jerusalem. The visit of the Cathedral of St. George should therefore be a “must” for a tourist in Istanbul, although I think less than 1% of the tourists actually visit it, since probably ignoring even its existence. On the banks of the Golden Horn, acting as a watershed between Fener and Balat, one finds the Sveti Stefan Kilisesi (the Bulgarian Church of St. Stephen), famous for being built entirely of iron and for its rich interior ornaments. Balat is the historic Jewish Quarter: it had been so for a long time, during the Byzantine period as well as during the Ottoman period, this to demonstrate the atmosphere of inter-religious coexistence that has always characterized Istanbul. The Jews began to leave the area only after the strong earthquake of 1894, moving to the neighbourhood of Galata and, partly, emigrating to Israel. After 1960 the remaining wealthy Jewish minority of Balat moved to the district of Şişli and the result was a complete transformation of the neighbourhood. From an extremely rich area it quickly became a zone populated by immigrants of the lowest social classes. As a consequence, Balat had been greatly neglected until just lately when the neighbourhood has eventually been the focus of an ambitious redevelopment project sponsored by UNESCO. 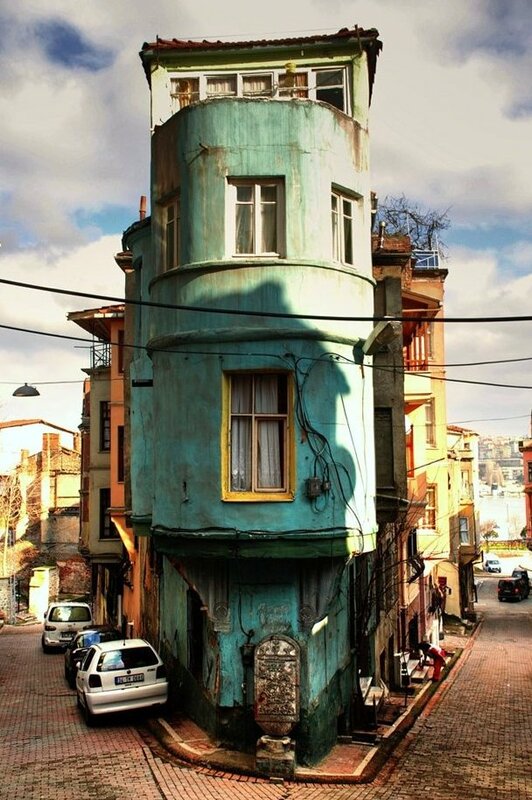 The fine line between grandeur and degradation in Balat produces a dazzling contrast. The area, where there are as many as three synagogues (including the beautiful Arhida Synagogue, still functioning and open to visitors prior contact with the rabbi), remains still nowadays a real gem. Arriving then at the top of Balat one will enter a park from where it is possible to enjoy a breathtaking view of the Golden Horn. Continuing on foot and with the risk, always real, to get lost, one can afterwards reach the famous church of Holy Saviour in Chora, now known as Kariye Müzesi. Its magnificent mosaics and frescoes have nothing to envy to those of Aya Sofia, rather they are objectively much more beautiful. It is, without a doubt, one of the most important historical monuments of Istanbul, an extraordinary example of Byzantine stylistic perfection. Exploring Fatih, Fener and Balat is challenging, but does indeed offer unique emotions, even to those who like us are by now accustomed to visit these places. We would like to remind that visiting these areas by oneself is not easy, often the names of the streets on the maps are incorrect or are not reported: one might end up walking around to no avail and thus wasting a lot of time. The percentage of people who speak English in these areas is close to zero and, therefore, it is impossible to ask for information. We have to admit that the first few times we also got lost, although we can ask information in Turkish! If you are interested in making a guided tour with us of these neighbourhoods, please, do not hesitate to contact us via email or leave a comment below. We started 5 years ago to make guided tours with italian groups and you can read hundreds of feedback on our italian version of the blog and on tripadvisor. We organize tours almost every day in english, italian and spanish. This entry was posted in Istanbul Guide. Bookmark the permalink. We are traveling from Puerto Rico next January 2019 and wanted to take the Balat/Fener tour. Could you please reply back with tour details. We will be 2-3 people. We will be in Istanbul for one day in early august and are very interested in doing the fener/balat tour for the day. Could you please advise. I am an instagrammer who is interested in a tour of the alternative neighbourhoods of istanbul. Any there any tours to explore Fatih, Fener and Balat? but upon the return from Istanbul I was busy with work. I plan to visit Istanbul again with the whole family in the future. who does his job with great passion. Keep up the good work, good luck and happy new year. Thanks for the nice visit, Ece was very experienced and helpful, able to explain the city’s history in a simple way, with passion and competence, managing to convey even to children the curiosities of Istanbul. 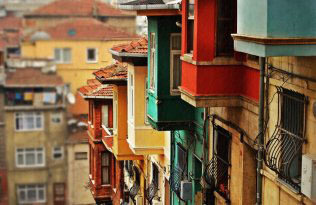 Visit with us Fener and Balat the most fascinating and characteristic areas of Istanbul. Visit with us the asian side of the only city in the world to be built on two continents.